Biscayne National Park consists mostly of water and a few keys. Canoe rentals and boat tours are available at the visitor center, but the concessionaire was unexpectedly closed on the day of my visit, thus greatly limiting my opportunities for photography. For more photographs, see my pages for Florida and the Everglades. 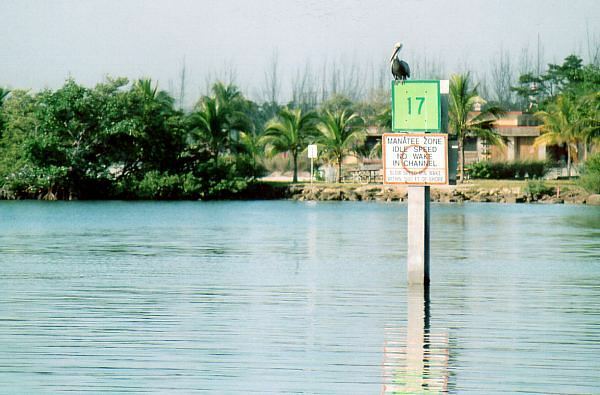 A short trail at the visitor center provided this view of a Brown Pelican sitting on a Manatee Zone warning sign. The marina at Homestead Bayfront Park is in the background. 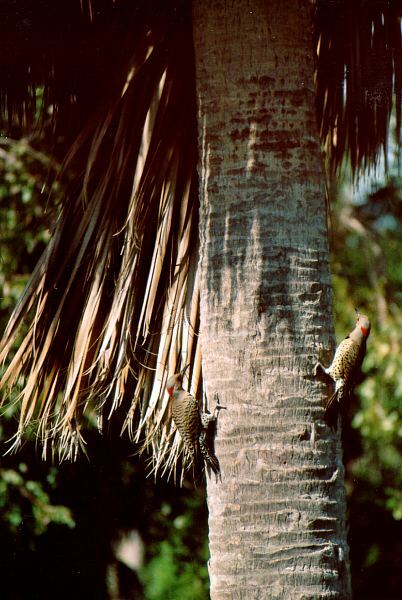 Two Yellow-shafted Northern Flickers were chasing each other around a palm tree right next to the parking lot at the visitor center.